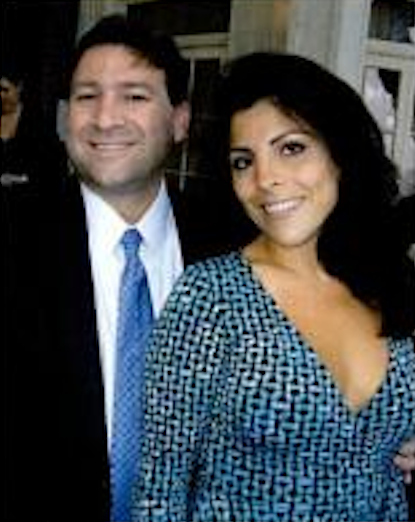 UPDATE #3 WSJ in new piece tonight continues to call Jill Kelley (twice) a "State Department official." See below for why this is an (apparent) falsehood and major error. The WSJ piece, however, does have some new details and tick-tock. NYT tells much the same story tonight, agreeing that uncovered in summer but took weeks for FBI to put it together. Unclear if they ever monitored Petraeus's email account. Earlier NYT piece on Jill Kelley includes statement from her and husband saying little except she has known Petraeus for five years. Suddenly, reportes have the knives out for man most treated as St. David for so long. See Wash Post tonight here. Major media flub. AP and others had reported Jill Kelley was "liasion" to the Joint Special Operations Command, surely an important job. Then changed to "social liaison." Now, believe it or not, via AP: She "serves as an unpaid social liaison to MacDill Air Force Base in Tampa, where the military's Central Command and Special Operations Command are located." UPDATE #2 Yikes: AP photo of Jill Kelley, and her twin sister, with Petraeus and his wife Holly. From 2010. UPDATE #1 Buzzfeed with first personal details on Jill Kelley. Also important note: No evidence yet that she was involved with Petraeus, no idea yet why the emails from Broadwell. Photo of her and husband at left. Plus: her twin sister represents...whistleblowers. She's involved in a very nasty sexual harassment suit against prominent local attorney. The sisters were in a Food Network cookoff nine years ago. Food Fight. Also new at Buzzfeed: Michael Hastings on "The Sins of David Petraeus." And how he "seduced" the media. Earlier: AP just out with story IDing woman who was target of Paula Broadwell's many allegedly "harassing" emails. It's Jill Kelley, 37, who lives in Florida, and is the State Department's liaison to the military's Joint Special Operations Command. Another source "who knows Kelley and Petraeus confirmed their friendship and said she saw him often." Plus: "Lawmakers also said it's possible that Petraeus will be asked to appear on Capitol Hill to testify about what he knew about the U.S. response to the Sept. 11 attack in on the U.S. Consulate in Benghazi, Libya, that killed four Americans, including the U.S. ambassador." Note: Broadwell's valentine/bio for Petraeus now up to #101 at Amazon. If she needs lawyer, she will certainly be able to afford it. Note: My e-book on Obama-Romney race has just been published. "Tricks, Lies, and Videotape" covers the contest right up to Election Night and the aftermath, and includes over 500 clickable links to the most important articles, blog posts and videos. Just $2.99 for Kindle, iPad, phones, PCs. Enjoy. The look on hubby's face betrays blissful ignorance. Im a going to make a wild a$$ guess here and say that the General was involved with both of these young ladies. I am Loving politics right now!